The Hellpup tactical AK pistol from Pioneer Arms in Poland is chambered in 7.62×39 caliber with a short 11.73″ inch barrel and no rear stock. Muzzle flash is suppressed with a Krinkov-style flash hider and a two 30 round polymer magazines are included. The gun weighs only 5 pounds and has an overall length of only 21 inches! 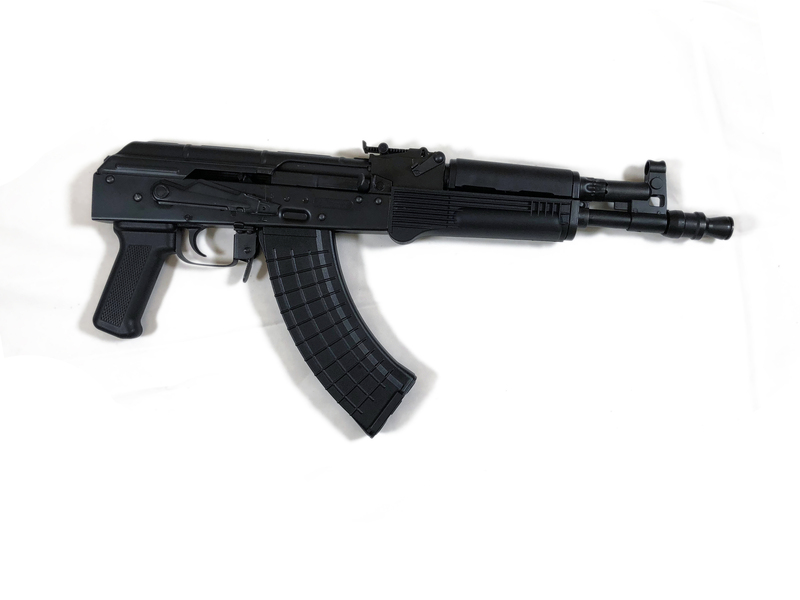 It includes a one-year warranty and is made in the world-famous weapon plants of Radom, Poland.